We arose early in the day and constructed a sturdy foundation for my new flagpole. 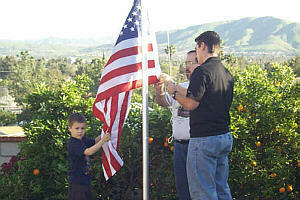 Later that day I had the honor of sharing the inaugural flag raising with my son, Jason, and my grandson, Hayden. They followed worthless idols and themselves became worthless. They imitated the nations around them although the LORD had ordered them, "Do not do as they do," and they did the things the LORD had forbidden them to do. This page is dedicated to all the men and women who have fought to keep this nation free. The flag should be raised briskly and lowered slowly and ceremoniously. Ordinarily it should be displayed only between sunrise and sunset. It should be illuminated if displayed at night. Reveille is traditionally played during the raising of the colors. Here is a link to an MP3 of Reveille. Reveille MP3 from the United States Marine Corps Bugle Calls page. The flag of the United States of America is saluted as it is hoisted and lowered. The salute is held until the flag is unsnapped from the halyard or through the last note of music, whichever is the longest. Traditionally Retreat is sounded during the lowering of the colors at the end of the day. This particular selection is the routine of Call to Attention - Retreat - Carry-On. Evening Colors Routine MP3 from the United States Marine Corps Bugle Calls page. For those interested a complete list of bugle calls can be found at the official United States Marine Corps Website. 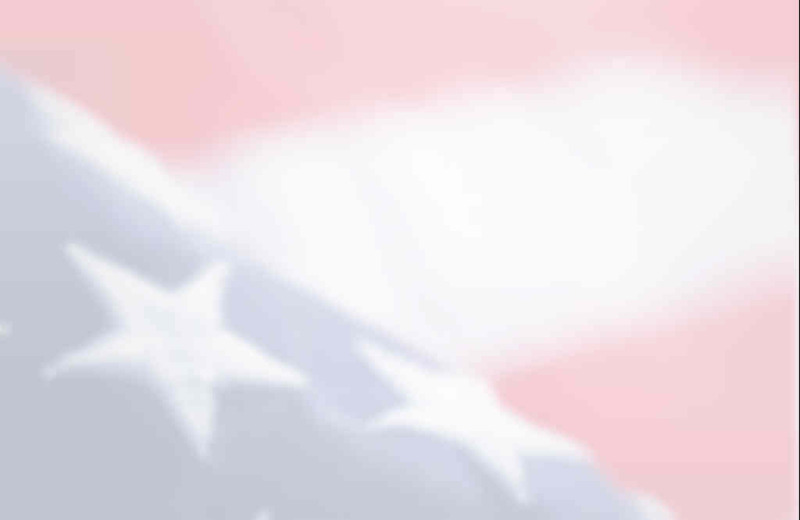 Check out this site for some historical information on The Pledge. The Pledge of Allegiance A Short History by Dr. John W. Baer. Historic and Current Flags of the U.S.A. This last link contains a reference to an Urban Legend. It is widely reported that the Flag Folding Ceremony found here is from the U.S Air Force Academy. A search of the Air Force site yields no references. While the flag folding can take on special meaning there is no "official" U.S. Flag Folding ceremony. For more on that please read Grand Fold Flag at SNOPES.COM. That being said this is a very cool and touching ceremony. You can find it here.